LatinaLista — A strength of being Latina is the skillset unconsciously learned from infancy in assimilating two distinct cultures into everyday life. Living in two cultures simultaneously impacts our attitudes, aspirations and abilities that, in turn, produces unique traits among Latinas, as evidenced in a new Nielsen study. Latina 2.0: Fiscally Conscious, Culturally Influential & Familia Forward highlights the progressive trek of Latinas when it comes to taking control of our lives, our health, finances, engaging with friends and families, remembering our roots and creating a new Latina stereotype in the process. According to the study, Latinas have outpaced the growth of starting businesses among our female peers. That news isn’t new, but what’s more interesting is that Latinas have surpassed Latinos in becoming business owners. The report cites the U.S. Census in revealing that during the last 5 years, Latina majority-owned firms grew by 87% vs.the 39% rate of Latino majority-owned firms. Latinas being such a force in the labor market also means that more Latinas are the breadwinners of their families too. 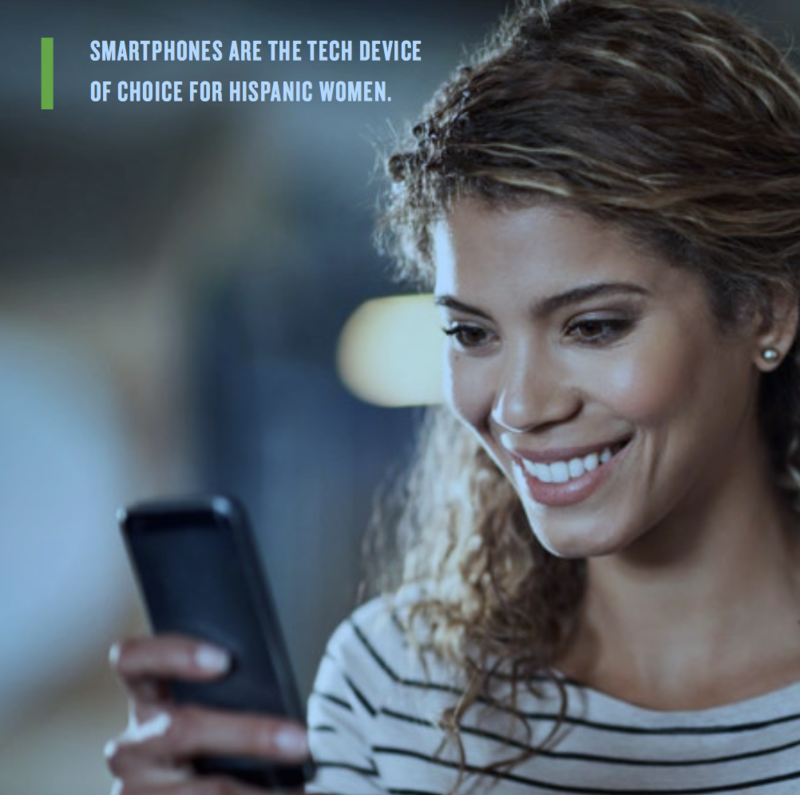 The study also found that Latinas over-index for smartphone ownership compared to non-Hispanic White women. It’s not surprising to learn that we not only love our smartphones but they are our go-to gadget of choice where we spend, on average, 22 hours a week watching videos, using apps, getting online and shopping. And while the country has turned into a “fast-food nation,” Latinas — maybe hearing the tiny voices of their mothers or abuelas scolding their consciences — opt more often to get creative in the kitchen. Yet, there’s one area where today’s U.S.A.-born Latinas aren’t in any hurry to follow their mother’s footsteps — starting their own families. The study highlights how U.S.-born Latinas are less likely to get married than those foreign-born. Fifty percent of U.S.-born Latinas over the age of 18 have never been married, as compared to only 25% of those who are foreign-born. In fact, only 30% of Latina Millennials are married today. Ten years ago, it was 45% of Latina Millennials who were married. As the study clearly shows, Latinas are advancing forward on a variety of fronts — on a new journey and on their own terms.